The thing I love about this tart is that it looks so impressive with such minimal effort. With the use of cooking apples it remains nice and tart in flavour (not too sweet) and works so well for dessert, even after a heavy meal. It makes a fantastic centrepiece on the dinner table, but don’t get too attached – its likely to be gone in seconds! The thing about gluten free pastry is that sometimes it comes out a little ‘rustic’ and the edges may crack, but the taste of this pastry by Silly Yak is my absolute favourite. It is easy to work with and doesn’t turn to sawdust when you eat it! I keep a stock in my freezer to have to hand for recipes just like this! Preheat the oven to 170C. Grease a standard loose bottomed tart tin thoroughly. Peel and core the apples, and cut into thin slices, that almost resemble petals. Place into a large bowl with the lemon juice, caster sugar and cinnamon. 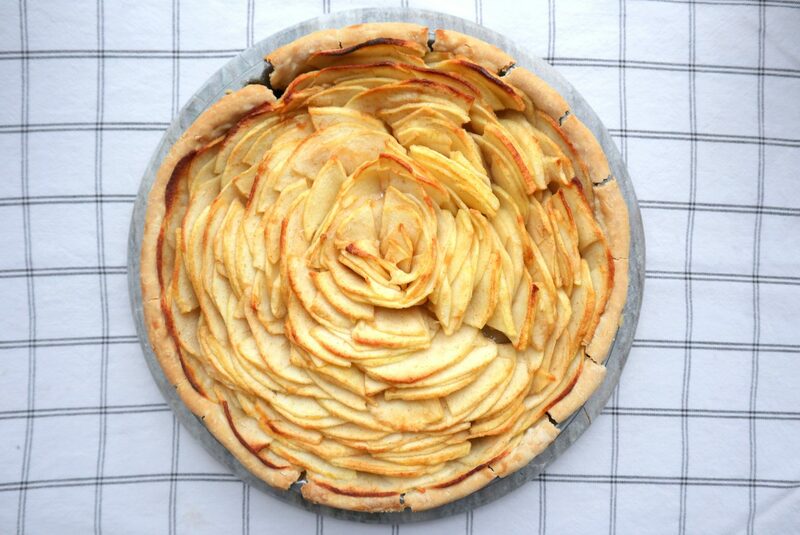 Carefully layer the apple slices, from large to small around the inside of the tart, working towards to the centre. Pack the apples tightly, fitting as many in as possible and revisiting any gaps after you have filled the tin. If using, heat the apricot jam in a small saucepan, and brush over the top of the apples. Bake for 45 minutes to 1 hour in the oven, put the tin on a baking tray in case the juices leak from the tart tin (highly likely with GF pastry, but will not affect taste). Be sure to check and turn regularly if one side looks to be browning faster. You should end up with a crisp base on the sides and golden brown apples. Remove from the oven and let cool slightly before removing from the tin. Serve warm with custard, cream or ice cream. 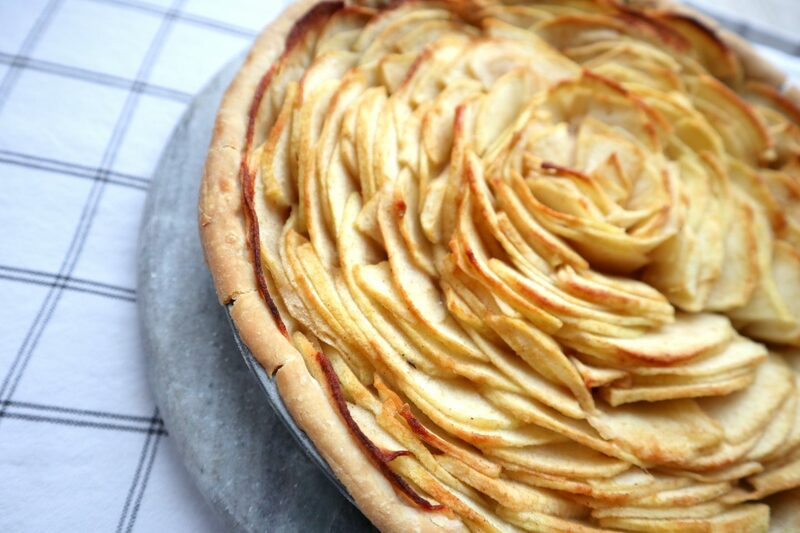 Some versions of an apple tart have frangipane or sponge incorporated, but this stripped back, super simple version also works great. I hope you like this one!